On a day of Remembrance, Chesterfield came to a standstill to pay respects to serviceman who lost their lives in conflicts passed and present. 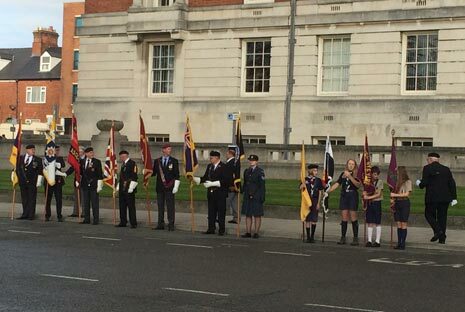 Hundreds of people observed the silence at the Town Hall this morning as the clock struck eleven - before the Mayor of Chesterfield and Rev Patrick Coleman laid wreaths at the Cenotaph at Rose Hill. 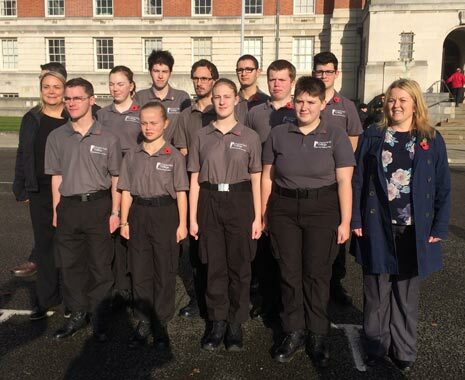 Standard bearers, including scouts, paid their own tribute during the Last Post, supported by local cadets, Public Service students from Chesterfield College (pictured above), local scouts and pupils from St Peter and St Paul's. Tomorrow (Sunday, 12th November 2017) will see the Remembrance Services take place across town, with a service at The Crooked Spire before a parade back to the Town Hall where wreaths will once again be laid.